Step 2: Get $40 more when you spend S$300 within the first month of approval. Applying for OCBC credit cards for the first time. 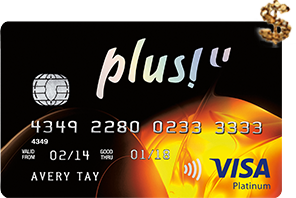 NTUC Plus!/OCBC Plus! Visa Credit Cards are designed to let you save more. With up to 12% rebate at FairPrice, grocery shopping just got better! You will also enjoy more savings on fuel, telco bills and other daily essentials, in addition to LinkPoints rebates at over 200 participating Plus! merchants. It’s our way of celebrating your hard work with Singapore’s card of choice for savings all year round. Spend a minimum of S$400 monthly anywhere outside of FairPrice^ to qualify. Spend a minimum of S$500 monthly anywhere outside of FairPrice^ to qualify. ^Anywhere outside of FairPrice spend refers to Visa transactions made on your NTUC Plus!/OCBC Plus! Visa Credit or Debit Card outside of FairPrice, FairPrice On, Warehouse Club and Unity. Also available as a Debit Card, click for full benefits. Get an exclusive S$40 rebate when you switch your electricity provider to Keppel Electrics, SembCorp Power, Senoko Energy or Geneco and charge your recurring electricity bill payment to your NTUC/OCBC Plus! Visa Card. Valid for first 4,000 customers per electricity retailer. Terms and conditions apply. 1 Aug 2018 – 30 Jun 2019*Extended due to popular demand! 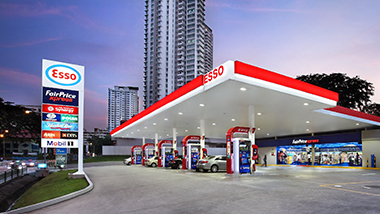 Get an additional 2.1% off your gross fuel spend at Esso! 5% additional rebate on Grab rides in a month, after completing 5 non-discounted rides. Capped at S$10 per customer per month. Enjoy S$80 cash rebate (for new OCBC Credit Card applicants) or S$50 cash rebate (for new NTUC/OCBC Plus! 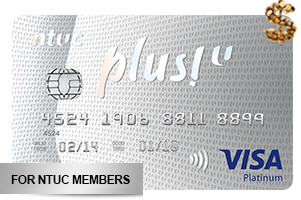 Visa Credit Card applicants) when you apply for the NTUC/OCBC Plus! 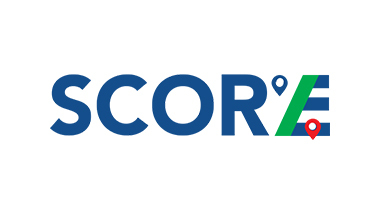 Visa Credit Card via the SCORE website. Enjoy great fuel savings with ease when you link your card. Enhance your rewards experience with the Plus! App. Check your LinkPoints balance and transaction history conveniently. Be it shopping, exercising, traveling or dining, explore the discounts and deals you can get under Plus! Treats. Collect stamps from Plus! Partners to redeem exciting rewards. To earn an annual fee waiver for your OCBC Plus! Visa Credit Card, you must spend a minimum of at least S$2,500 in one year, starting from the month after your OCBC Plus! Visa Credit Card was issued. For more fees and charges, view here. Plus! 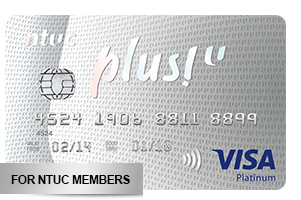 Visa Card is a banking product provided by Oversea-Chinese Banking Corporation Limited for Plus! U. 1LinkPoints will be awarded at the point of transaction. 2Bonus LinkPoints from OCBC will be credited by the last day of the following month of transaction. 3FairPrice Annual Cash Rebate is applicable to NTUC members who are FairPrice shareholders and rebate is applicable for all purchases in FairPrice up to S$6,000 per year. 1LinkPoints will be awarded within 60 days of the relevant transaction. ^Anywhere outside of FairPrice refers to Visa transactions made on your NTUC Plus!/OCBC Plus! Visa Credit or Debit Card outside of FairPrice, FairPrice Online, Warehouse Club and Unity. 1To earn LinkPoints on your purchases in FairPrice, you must charge at least S$20 per transaction. 2FairPrice Annual Cash Rebate is applicable to NTUC members who are FairPrice shareholders and rebate is applicable for all purchases in FairPrice up to S$6,000 per year.